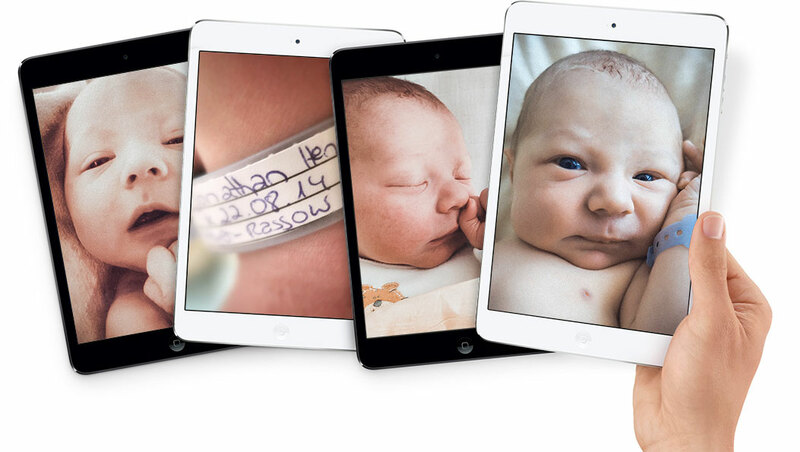 Former Apple employee Andreas Kleinke wanted to announce the birth of his baby boy Jonathan Henry, and the way he did it is an amazing replication of Apple’s iPad Mini product announcement page. As reported by Yahoo Tech, Kleinke said his idea got “a bit out of hand” — but it’s truly genius. It’s not only the design of the page — the descriptions Kleinke came up with are also styled after an Apple product, and the result is hilarious. 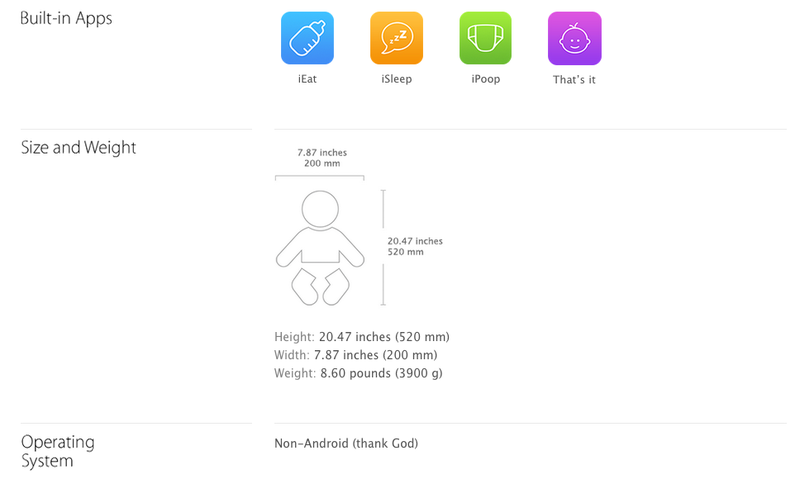 Baby Jonathan’s operating system is listed as “Non-Android (thank God)” and carriers are Mom and Dad. At the end of the page, viewers are even encouraged to shop for Jonathan or make your own baby (the link leads to a YouTube video). ➤ Hello, baby. Introducing Jonathan, the brand new mini.